Neuropathy is a disorder which occurs when damage to the nerves in a particular area causes pain or numbness. It can be related to an illness, injury, or imbalance in the body, and may fluctuate and worsen over time. Peripheral neuropathy affects the relaying of messages between nerves and your brain, which means that you may find yourself unable to feel sensation in your skin, or even use the muscles in your hands or feet properly. Which Areas of the Body Are Most Commonly Affected? Neuropathy can affect a number of areas around the outside and inside of the body, including the hands, feet, arms, legs, skin, face, and internal organs. The area where pain and numbness occur will depend on the underlying reason for the dysfunction. For example, when carpal tunnel syndrome causes nerve damage in the median nerve, it is felt in the wrist and hand. Similarly, in those with diabetes, inflammation and unstable sugar levels can lead to neuropathy of the extremities. Why is Neuropathy Missed by Many Health Professionals? Unfortunately, when it comes to neuropathy, the symptoms are not always in line with what is thought to be “normal”. When the internal organs are at risk of developing the disorder, patients may feel an upset stomach, suffer from diarrhea or constipation, among other internal ailments. Most doctors associate neuropathy with feet and extremities due to the highly sensitive nature of diabetics to this condition. In reality, the nervous system affected by the dysfunction span the entirety of your body, and thus may appear to be something unrelated. If you are experiencing multiple symptoms of neuropathy, but have yet to be diagnosed, a second opinion may be in order. Whether or not your neuropathy symptoms can be completely cured will depend on the severity of the nerve damage you have suffered. Modern medicine and therapies have come a long way in the past decade, providing many sufferers with the ability to reduce or fully eliminate pain and numbness. In some cases, treatment may only lessen symptoms, while others may be lucky enough to see long lasting results. What Symptoms Should I Be Wary Of? There are many symptoms associated with neuropathy, such as tingling sensations, sharp pain or the feeling of being shocked, numbness, weakness, stiffness, and tightness. Some sufferers have muscle cramping, digestive failure, and stomach aches, while others have reported difficulty breathing, an inability to detect temperature or touch, and dizziness. If you are experiencing any of the above mentioned symptoms, you should seek medical attention. It often helps doctors to make a proper diagnosis if you can recount how long symptoms occur, and how extreme the pain or numbness is. Why Do My Symptoms Fluctuate? While doctors have confirmed that the fluctuation of neuropathy symptoms is not psychosomatic, there is no exact findings to explain the way that pain and numbness comes and goes. This is a commonly reported issue among patients, and can be truly frustrating to sufferers and medical professionals alike, particularly during the diagnosis stage. Some doctors will offer treatments to be taken only when pain comes on, while others may offer a more rounded support to try and diminish the repetition of symptoms before they reappear. The exact cause of neuropathy varies depending on the type and location of symptoms. Age, obesity, genetics, and diet can play a role for some patients, while others suffer from nerve damage due to accidents and injuries. Various diseases and disorders, such as cancer, diabetes, herpes, and HIV can also be the cause of neuropathy symptoms. Most cases involving this disorder can be traced back to one cause or another, but across the United States, more than twenty percent of sufferers will go without answers for their pain or numbness. Fortunately, whether or not a reason can be found, the symptoms are still treatable. How Does the Diagnosis Procedure Work? Once you have pinpointed the symptoms you are feeling and can share them with a health professional, your physician will likely refer you to a specialist. If he or she is not fully convinced that neuropathy is the diagnosis, testing may be done through your family GP. If all tests return normal and symptoms are still unexplained, you will need to see a neurologist, who can use blood testing as well as spinal fluid testing to rule out nerve damage. How Long Has Neuropathy Been Around? Neuropathy has been around as long as nerve damage has been possible. It didn’t quite hit the medical radar as a serious problem, however, until the past few decades. While the symptoms have surfaced time and again throughout history, not enough was known to fully diagnose or treat it, the way that we can now. Due to the difficulties many medical practitioners have in diagnosing the disorder, it is crucial that neuropathy patients report any and all symptoms, changes in symptoms, and successes found through individual treatments. Research and studies are ongoing in this particular niche of medicine, and doctors are hoping to see further advancements and a possible cure in years to come. Nerve Renew is a natural supplement that may be used by those who suffer from neuropathy. It makes use of vitamins and other ingredients to safely treat the symptoms which appear due to nerve damage. Unlike similar treatments, the vitamin complex offered in this supplement has been found to present no danger in terms of side effects, and can be taken long term to prevent future pain and numbness from occurring. Before beginning any new treatment or medical regimen, be sure to discuss all current medications and therapies with your doctor. Not all treatments are safe for all patients, and must be taken with caution. 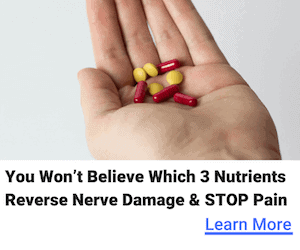 We at NeurpathyCure.org fully recommend the use of Nerve Renew to those seeking relief from neuropathy, as instructed by a physician. For more information on NeuropathyCure.org or Nerve Renew, we invite you to check out our resources section. We designed this site for those who suffer from the pain and numbness caused by nerve damage and are seeking results in the form of long term relief.